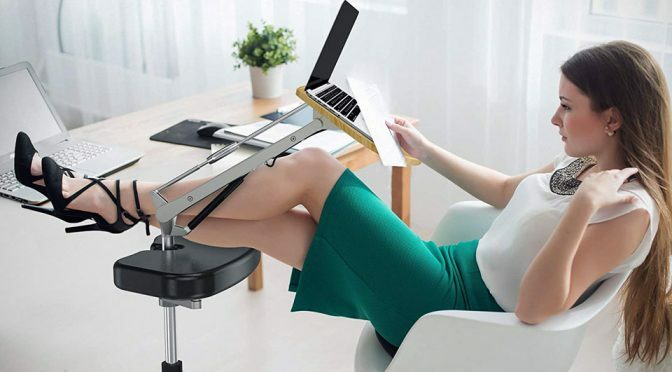 If you are into bad habits when using a laptop, then this Mobile Laptop Stand With Footrest from RoomyRoc, AKA Shenzhen Kedibo Technology, should be right up your sloppy alley. 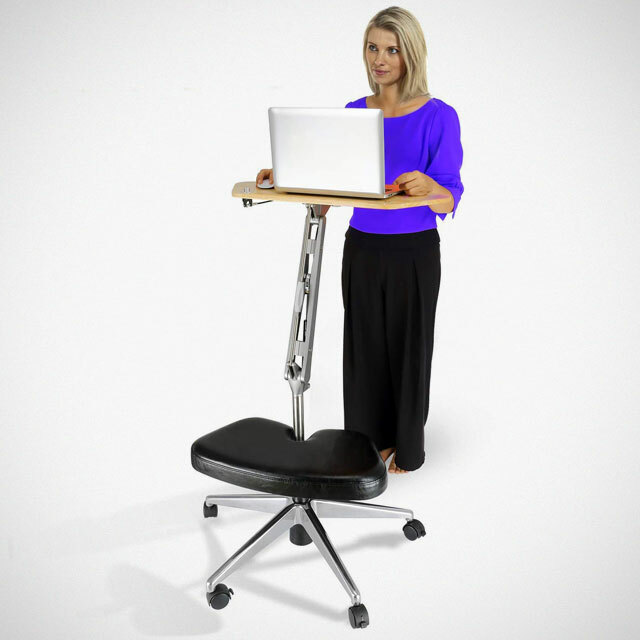 OK. To be fair, I can obviously choose not to use the laptop stand the lady did in the feature image and do what the other model did pictured below, but man, the posture is exactly what I did most of the time (oops! ), so I am kind of sold by the idea. The Mobile Laptop Stand With Footrest is very unique laptop stand/table. 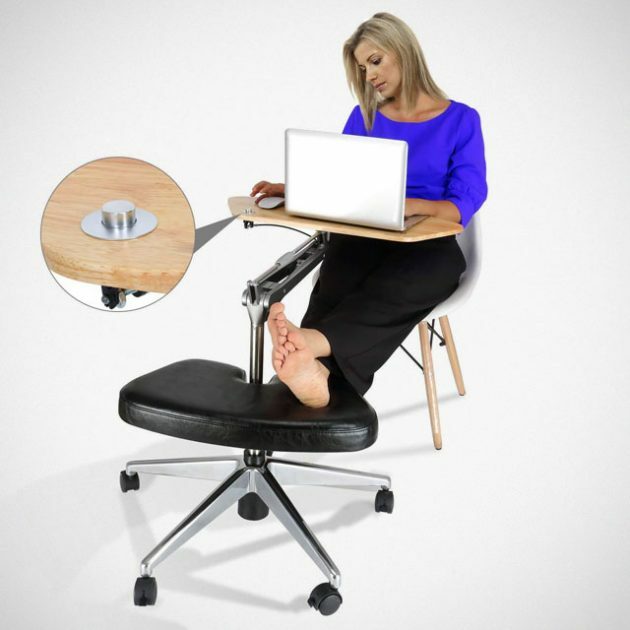 It does not require a table to rest on; it is in itself a table, complete with a footrest, so you could use your laptop like a boss while still keeping the device within arms’ reach. The footrest is padded and thus, it won’t feeling like your heels are resting on jagged rocks, and both the footrest and stand are fully adjustable to suit your usage. Having said that, you can go on a healthier route of using your laptop by adjusting the stand all the way up for use as a standing desk. The angle is, of course, totally adjustable too. And when you need to move to another corner to work because of whatever reason, you can simply roll it along to whenever – thanks to the castor wheels. 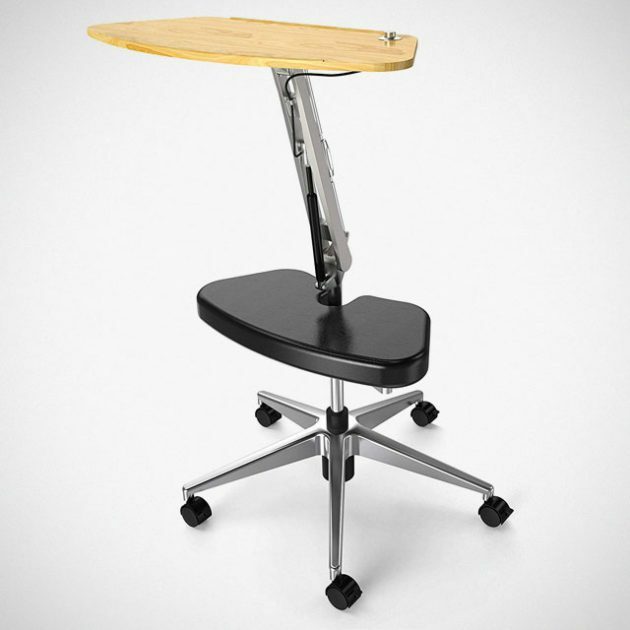 How this laptop stand/table can be adjusted is pretty much limitless. It might be the prettiest piece of accessory/furniture, but it is so versatile and functional that it is hard to ignore. 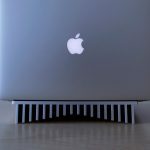 If working on your laptop like a boss is your cuppa, you may want to consider picking up this ultimate laptop stand for $169.99.